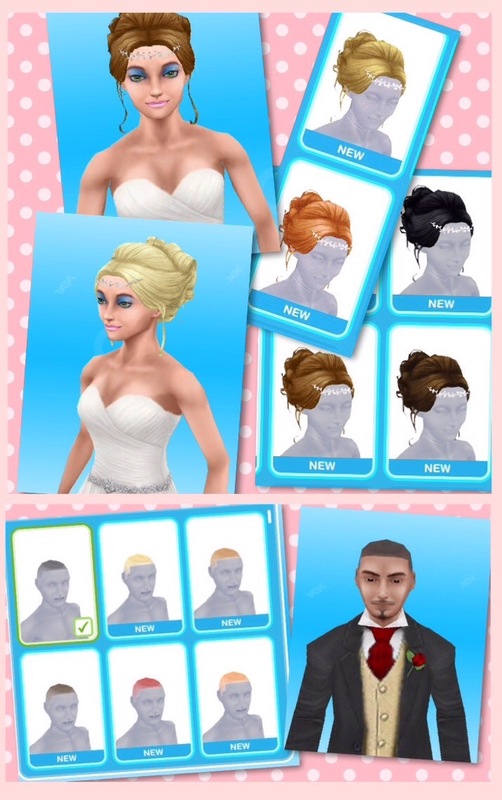 The Wedding Belles Live Event to unlock wedding themed items, hair styles, outfits and even a wedding venue house template so your sims can get married in a proper ceremony is back! If you completed this event last time it was available you will not get it again, if you started it last time but didn’t complete it you will start from where you got to last time, for example if you only had one prize pack left to buy you will only have to collect enough resources to buy that prize pack to complete the event. If you didn’t start this event last time you will start from the beginning! 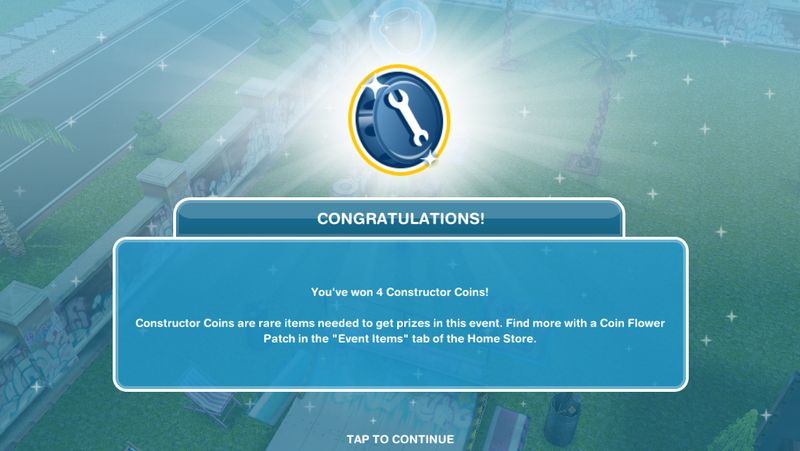 Live Events are very similar to a community event but this time you don’t need help from everyone who plays the sims freeplay to unlock the prizes, there are only personal prizes! 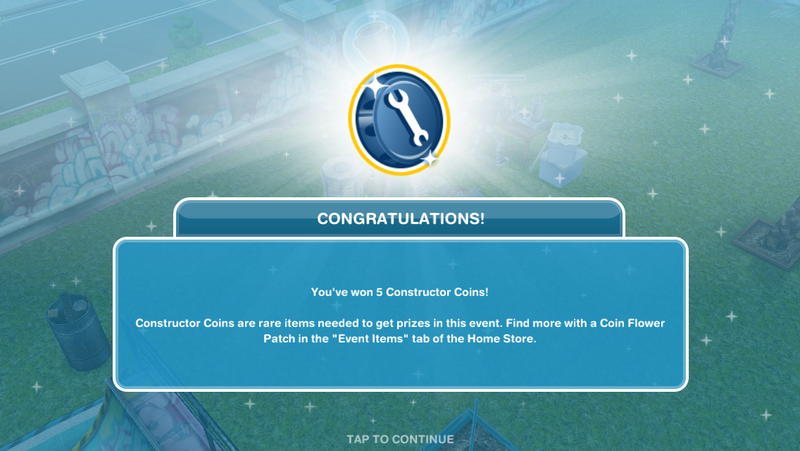 You will need to update your game to the love and treasure update to get this event. 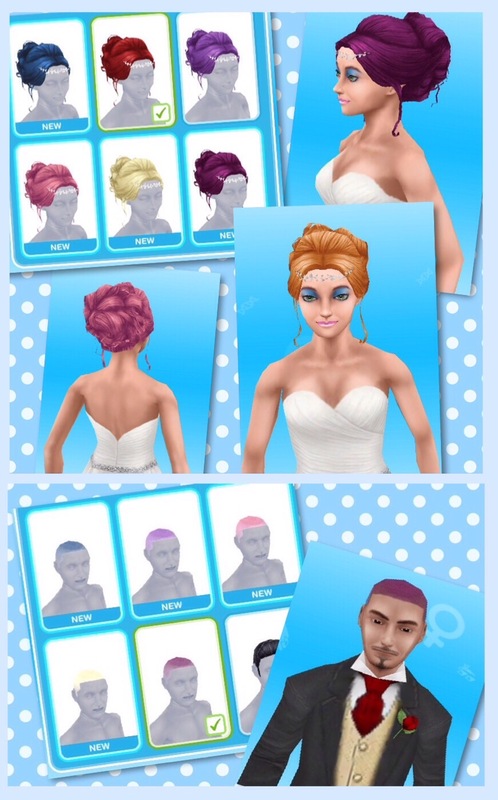 How to Download The Sims Sticker Pack for iOS! 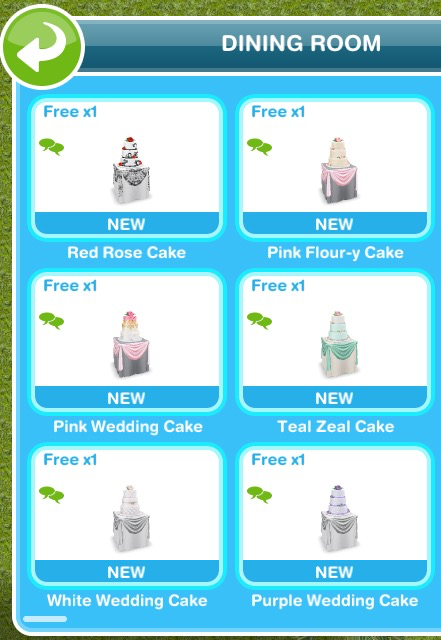 The requirements have increased for this re-run event. 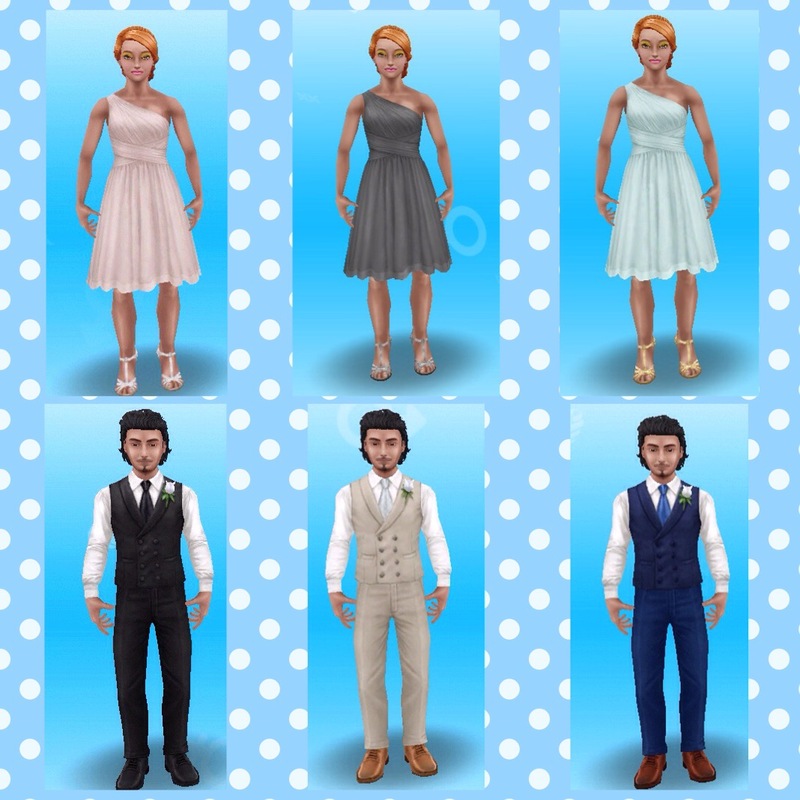 Sorry I have changed the amounts now, I completed it last time on my main game so didn’t know they had changed. 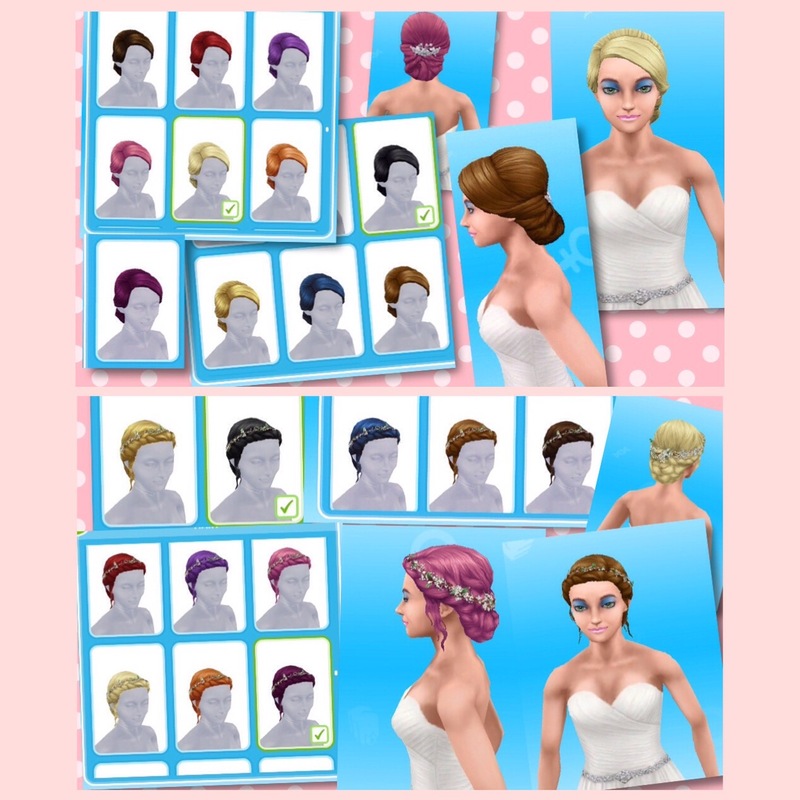 Hi, thank you so much for your blog and the work you put into it. 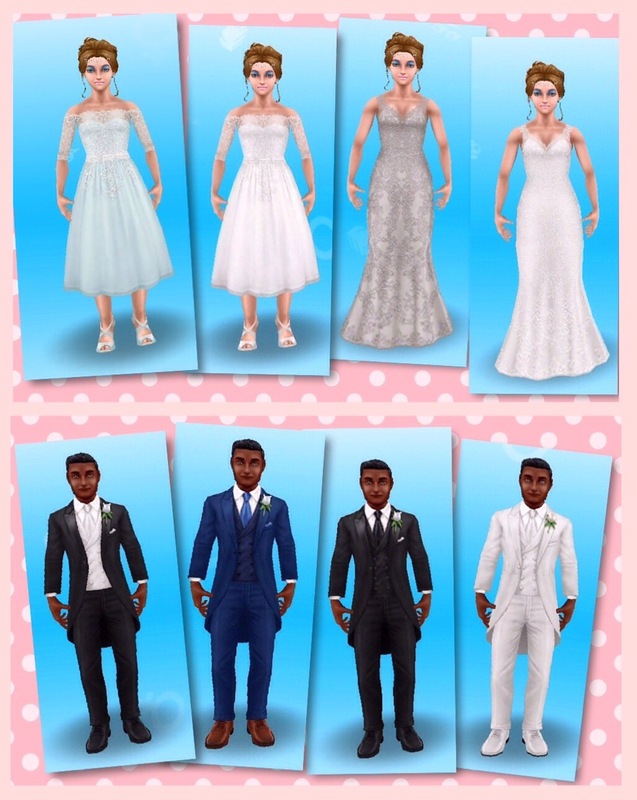 I was wondering about the wedding package available in the online store that has dresses and suits for toddlers…do you think it would be worth buying it or will there be another chance to get them cheaper (currently 9.99£) or in a different way? 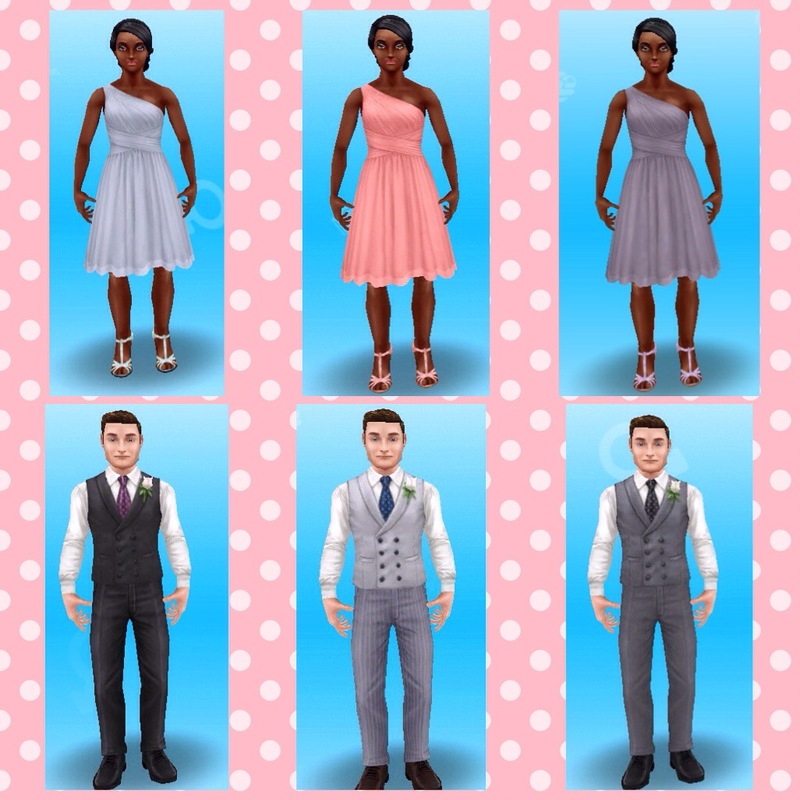 And are there dresses and suits for teenagers and kids? You’re welcome! 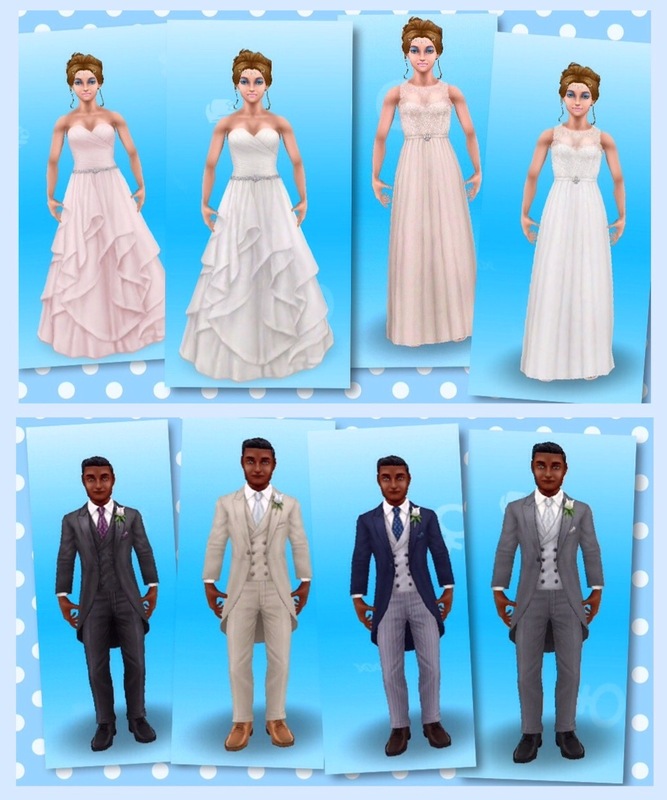 That is the only way to get wedding suits for your toddlers and female preteens, there are no outfits available for the other ages but it’s hard to tell you if they are worth buying as I haven’t purchased them myself, sorry! 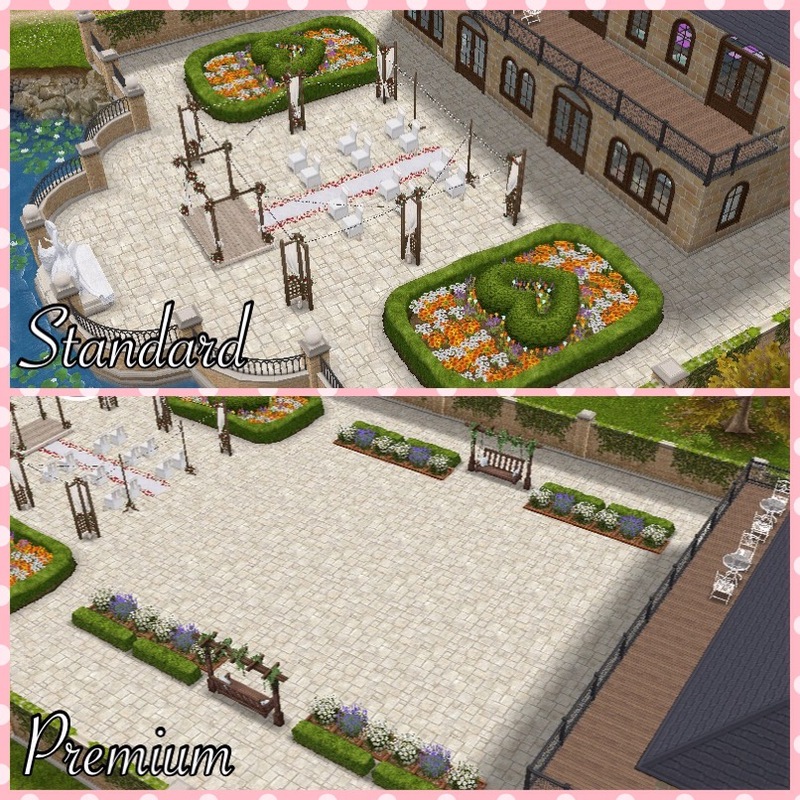 How come the prices are higher for me than for you (I need more candles/ceramic/jewels/glass/coins)? Sorry I have changed the amounts now, those were the amounts from last time it was available. I completed it last time on my main game so didn’t know they had changed. 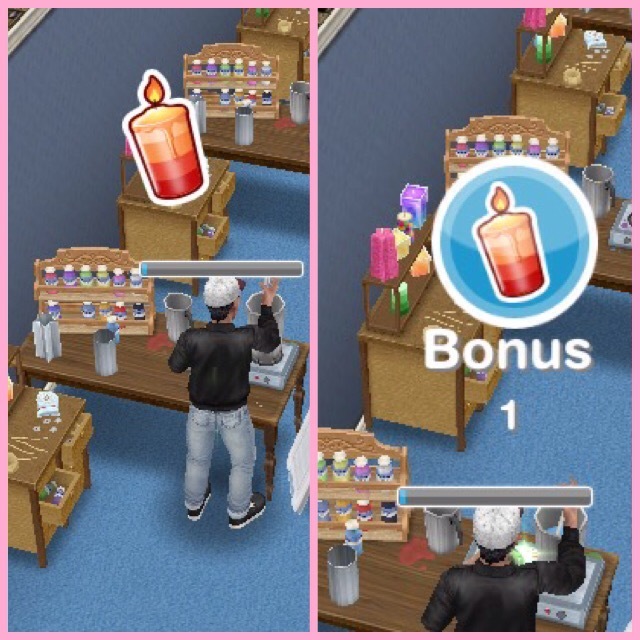 Hi, I had unlocked all the art and craft stations last time this event was available but now I can only use the candles? Are you trying to buy new ones of these stations? If so you won’t be able to, you need to go to the house you left them at or check your inventory for the ones you had last time. 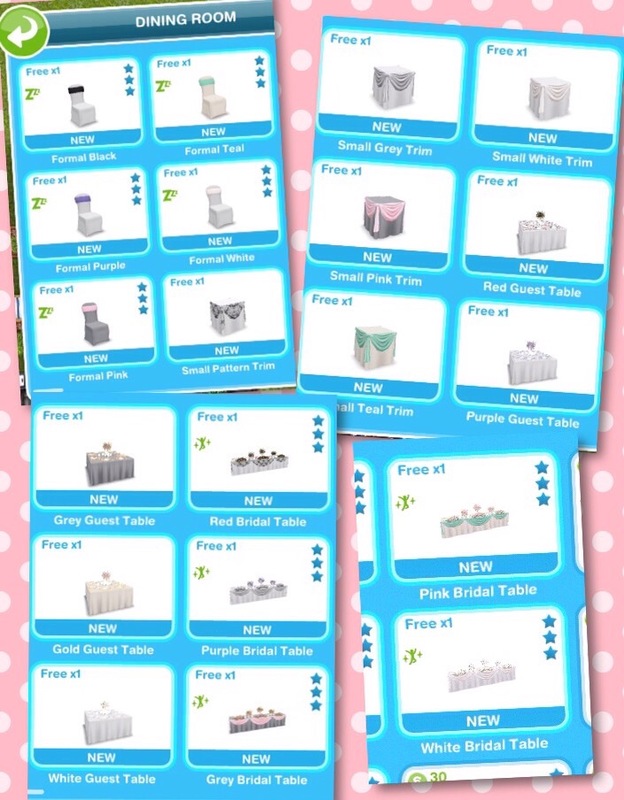 If you still cannot use them it may be a glitch and you would need to contact the makers to see if they can fix this issue for you. I love reading your blog. I find it so helpful. 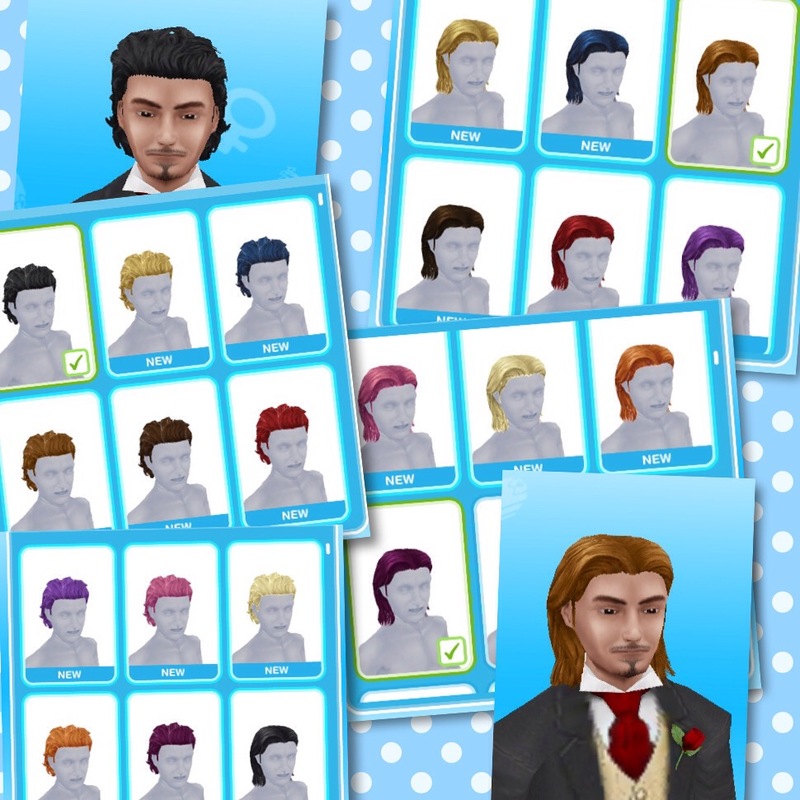 I used to be obsessed with Sims when it first came out but it was a lot different than now. 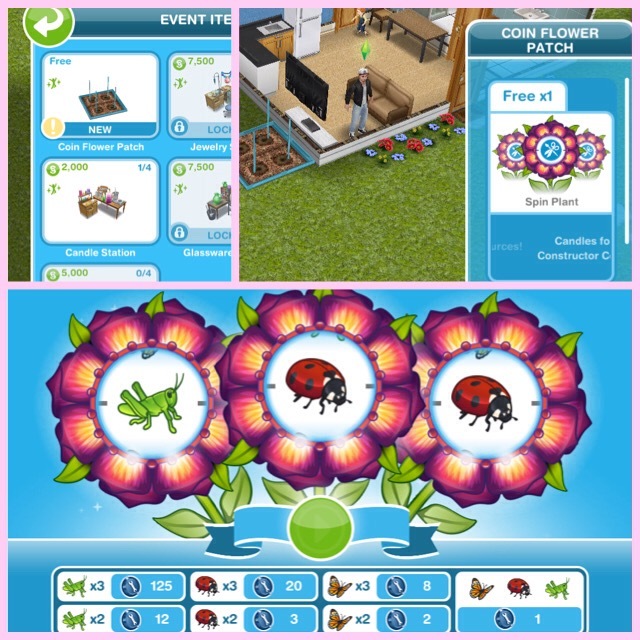 I am very new to freeplay and the concept of tasks, quests, rewards.I am learning as I go, and found your blog. 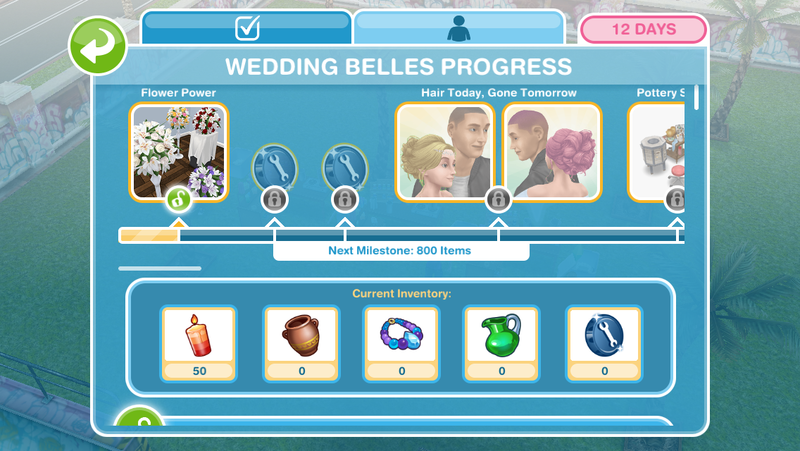 I am doing the wedding belles event, and it’s my first. Even though I am behind on most of my quests, I hope this won’t matter. 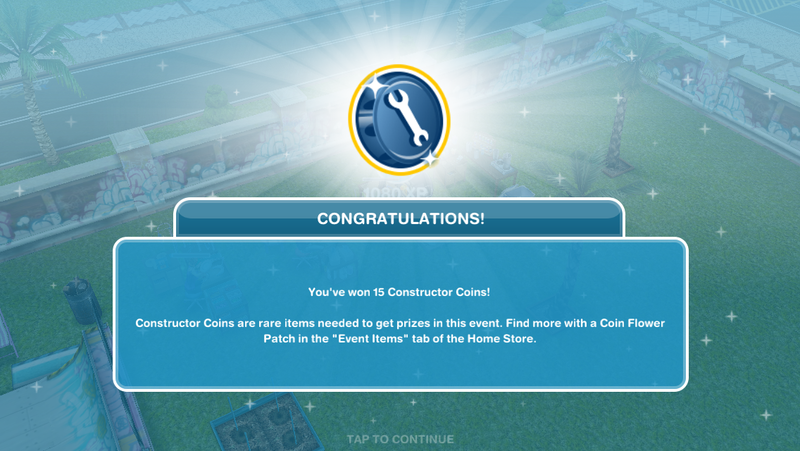 I learned to buy multiply stations, keep it stocked, and keep sims on it round the clock making stuff. 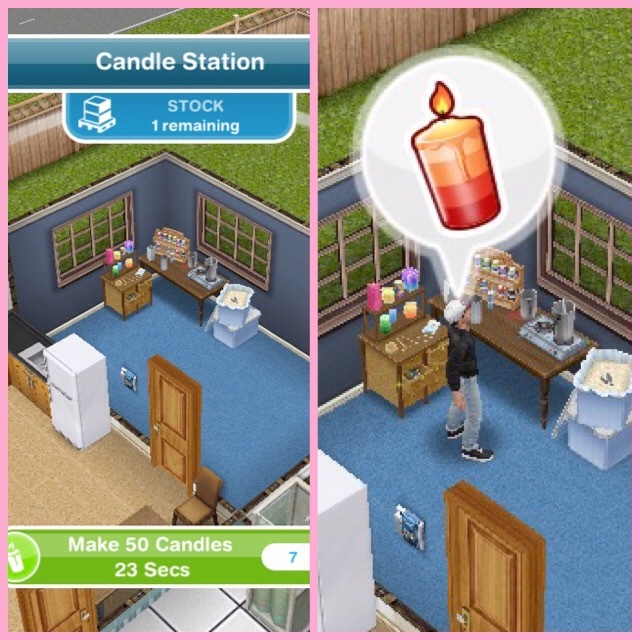 I seem to be doing alright, fingers crossed I make it to the end because I want that house BAD! 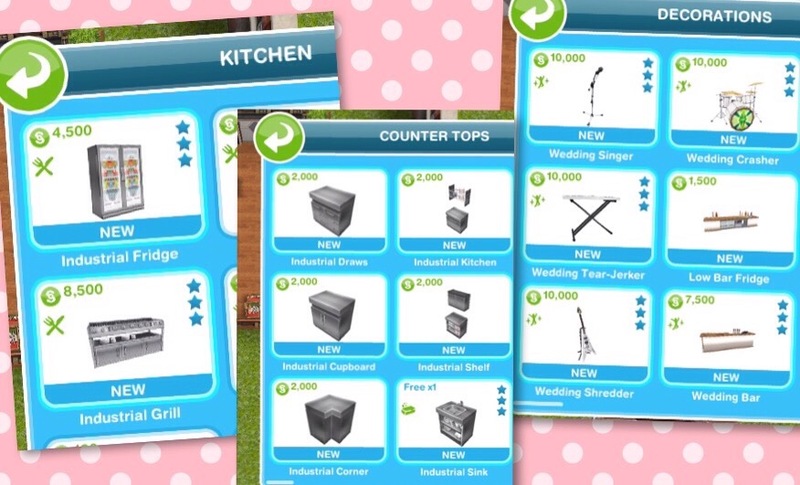 I noticed from watching your video that you have so many lp’s, sp’s and MONEY even though your level isn’t that high, with no vip points. I did add some money to my acct to get some vip points, which was my question. I was wondering what is the point of some of the vip levels when it doesn’t even unlock clothing until 4, 9, and 13, I believe ? 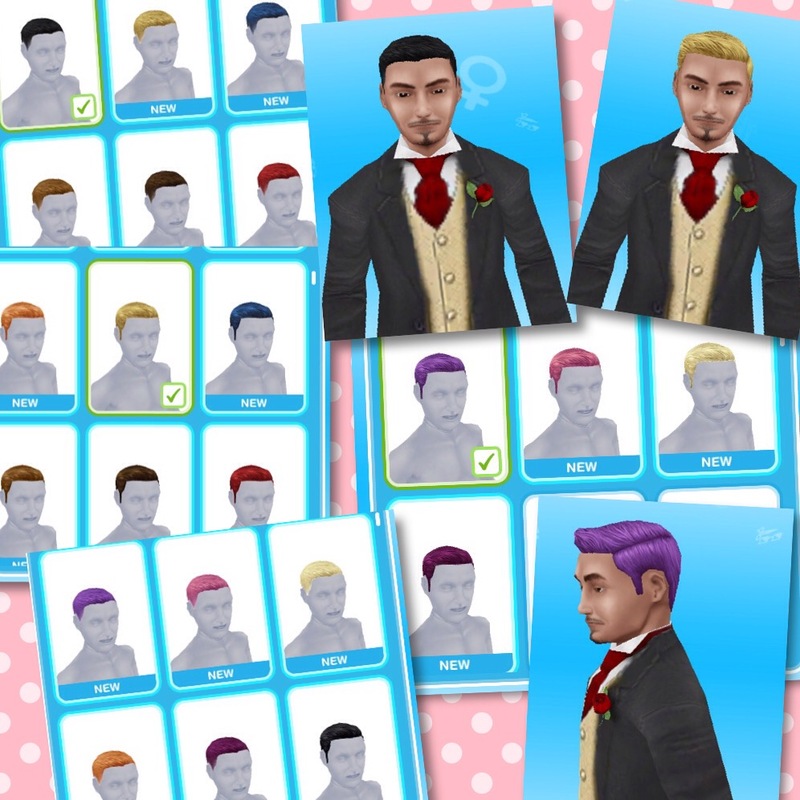 Besides more money and time extensions and more rainbow cake, which was nice, but…not enough to really pay for. 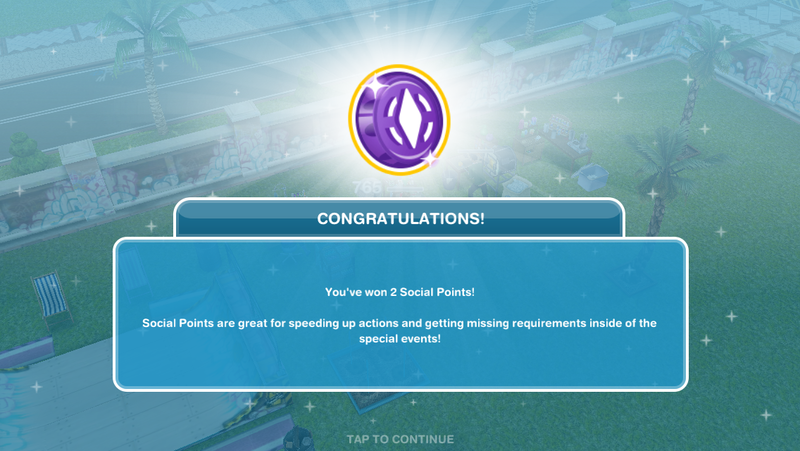 I’m vip 6, and I don’t really see any real incentive for me at this level for at least 3 more. Am I missing something? 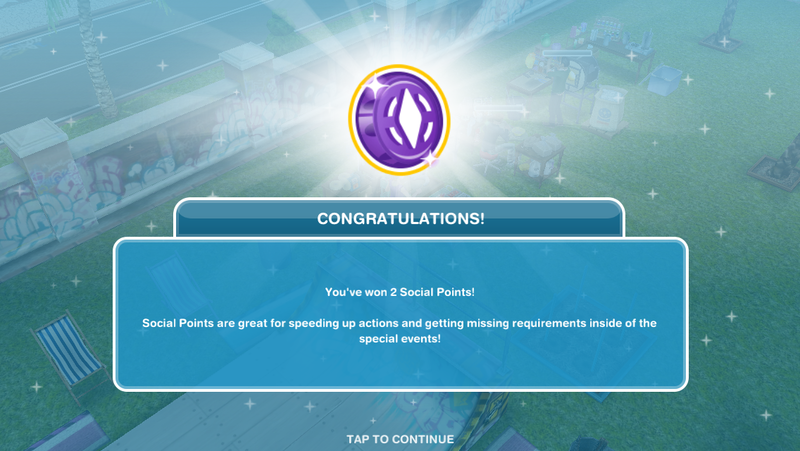 How long did it take you, with how many sims, to get to where you are, and no vip points? Seems rather impressive….thanks for all your help here. Keep up the good work! That is the early access version of the game so it isn’t my game, its the version I get access to to be able to create content before a new update comes out. I am actually on level 54 and have over 70 million simoleons but I am only VIP level 2, VIP points is basically just a reward for spending money on the game, if you don’t want to spend money then you don’t have to- it is possible to play this game without spending anything. I have never brought money, I just occasionally buy item packs. 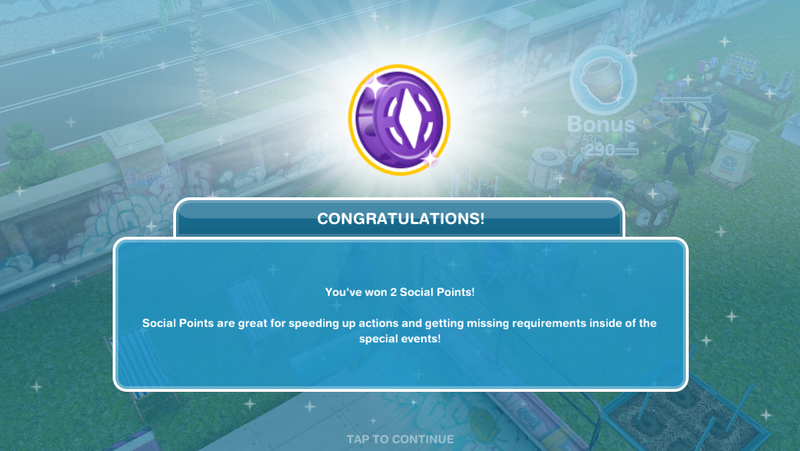 The VIP points haven’t been around that long though so I would probably be on VIP 4 by now if it was in the game from the beginning. 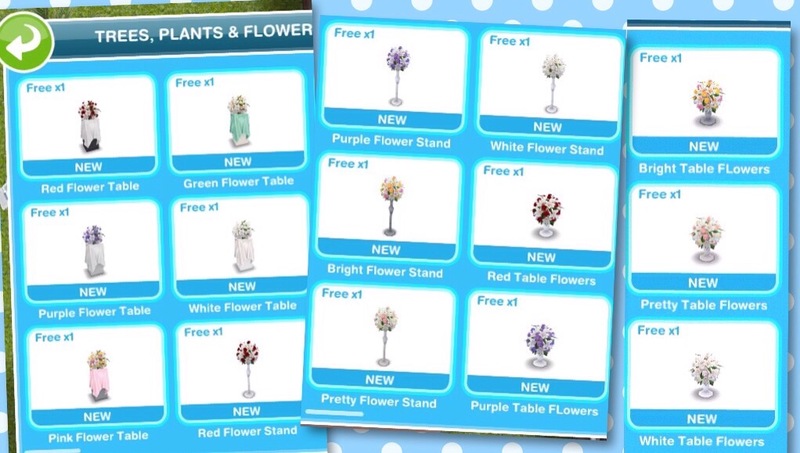 Hi, I had the Glassware stations in storage, and when I placed them in a house they still had stock. 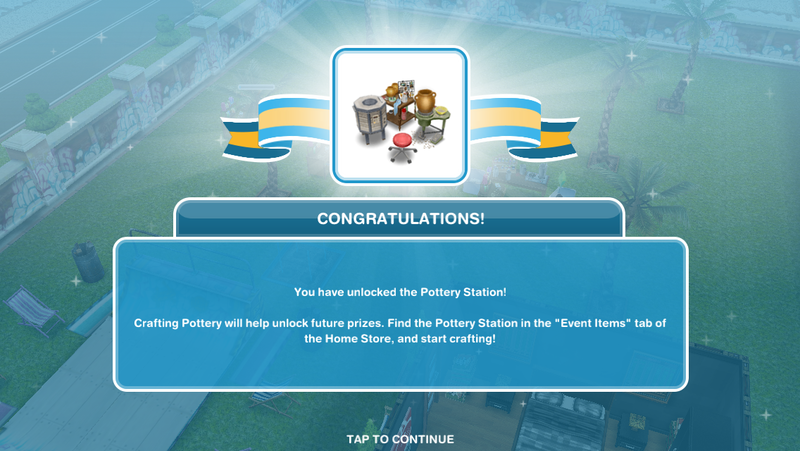 That surprised me, because the pottery stations I had stored had lost their stock – but then again they might have been empty when I put them in storage, I don’t remember. As I’m still trying to finish the event I cannot sacrifice stock in order to test whether I actually lose stock or not, so I just wanted to flag this in case someone wants to check/ update. That is strange! If it didn’t have any stock when you stored it, it should have needed restocking before you could use it when you placed it again, this might just be a nice glitch! 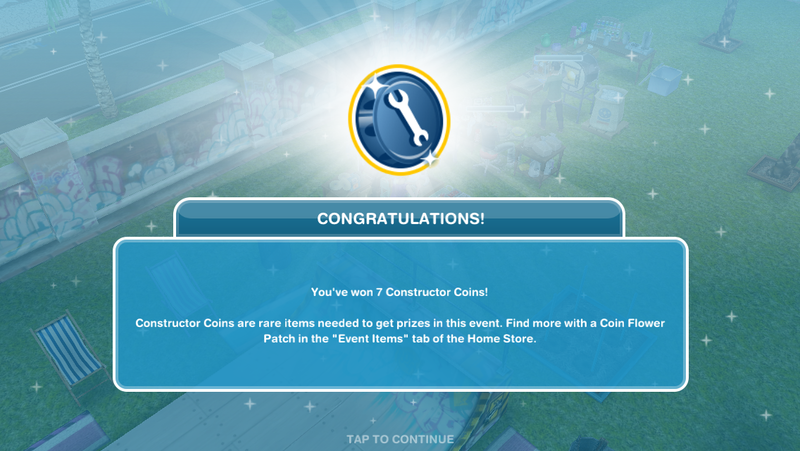 If you don’t complete in the time limit you will start from where you get to this time when they bring this event back again. Hi, what will happens if i don’t finish this quest on time? 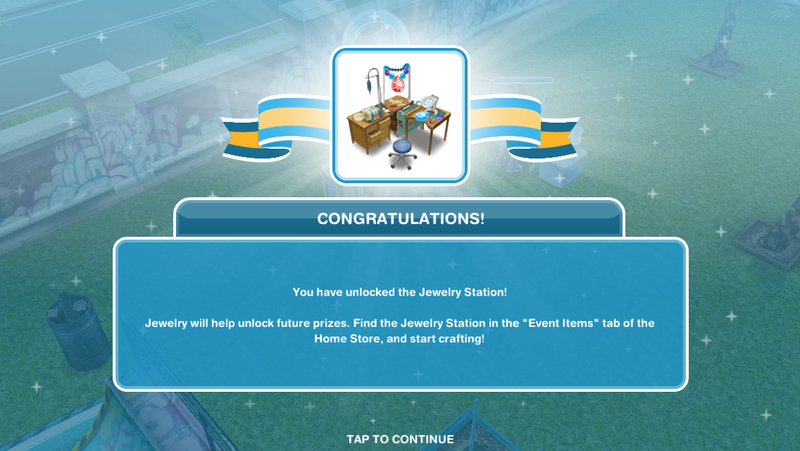 And should i buy more than one station for each kind ( 2 pottery stations for ecample) to finish this quest on time? Thank you, and your blog is so helpful. If you don’t finish in the time limit you can start from where you got to the next time this event becomes available. 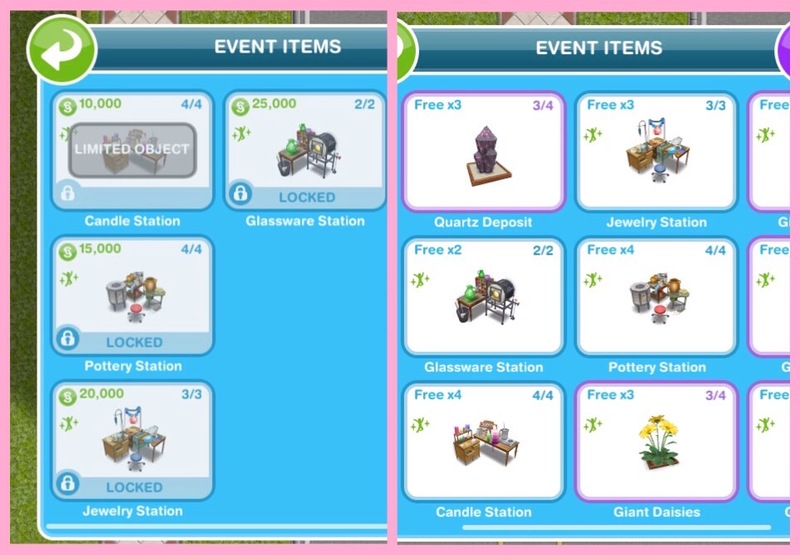 To finish in time you really need to use the maximum amount of stations you can use so you can own 4 pottery stations, if you have enough sims you should use them all otherwise you probably won’t manage it this time but don’t worry as they do bring these events back! You’re welcome, and I’m glad it helps. Hi! Firstly, love your blog, it’s been really helpful when doing events and such, so thanks for writing it! 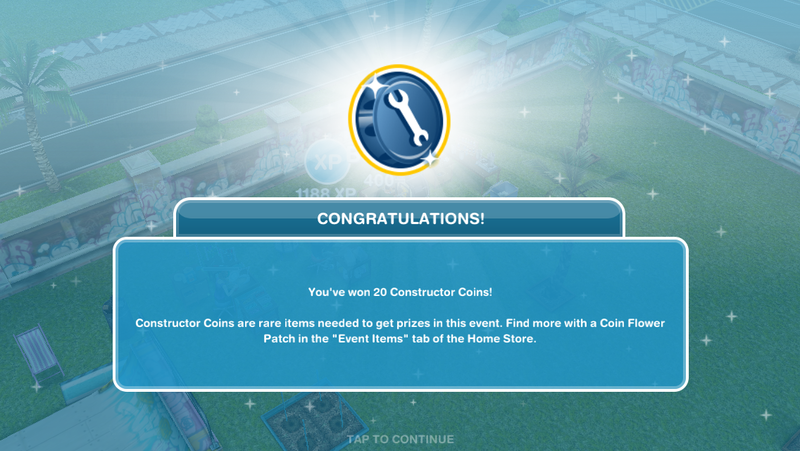 Hope I haven’t missed a previous answer to this question (sorry if I have) but I haven’t been playing for that long so haven’t gotten the chance to do an event twice yet. I really like the prizes for this event so am trying my best, but anticipating I won’t be able to claim them all in time. 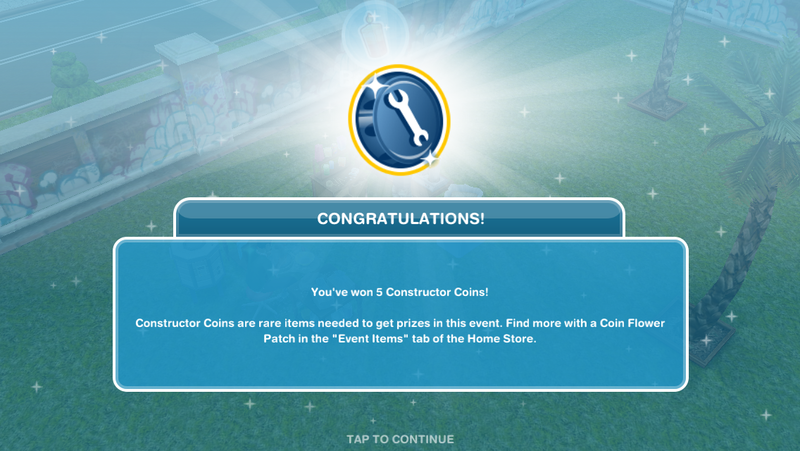 Wondering if you knew how often these sorts of things tend to come back, and if live events like this are likely to return again for a third time? Just really don’t want to miss out if it’s my last opportunity. Thank you! Thanks! 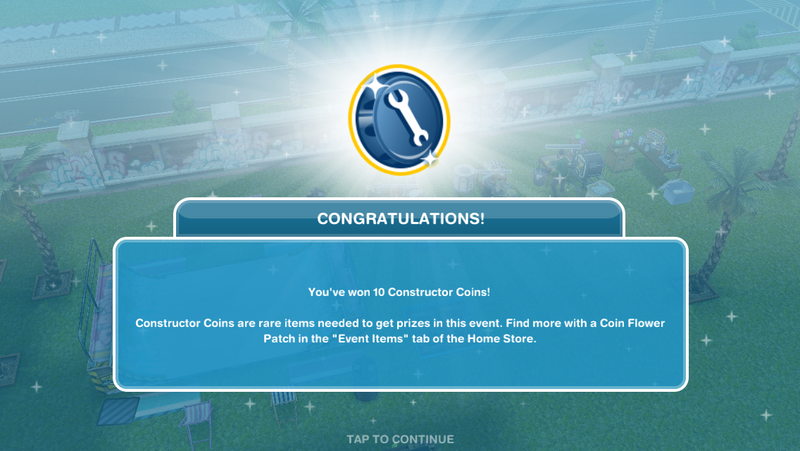 Live events are a fairly new thing so there hasn’t been one that has returned for a third time yet but they probably will, if you don’t complete it you can ask the makers on social media to bring it back as they do listen to what players want in the game but I think it is highly likely that it will return again one day 🙂 its hard to say when it will return though as I’m sure the makers don’t know when it will return yet either! There isn’t a set time when they bring events back, it is usually random. I doubt the makers even know yet! Hi! I was doing the math and noticed that l will not be able to buy the all the prices because of the high toll of each one. It will be impossible to manufacture all the glassware, do you recommend me to buy Laura to help me? Does she make the crafts randomly or does she craft whatever l ask her as many times l want? Thank you! 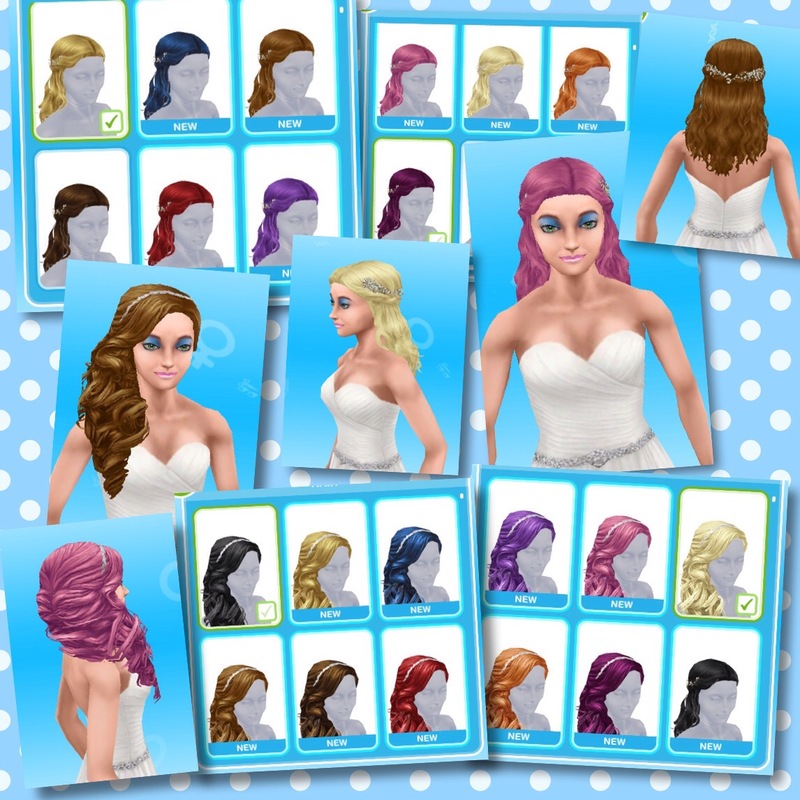 She will craft what you ask her to make but personally I wouldn’t buy her, these events return so if you don’t manage to complete it this time you can try to complete it again next time, you start from where you got to so its always easier the second time. 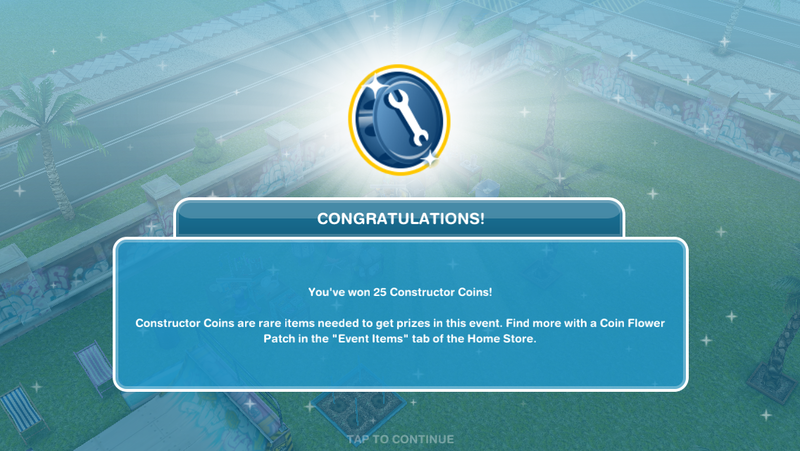 If you have enough for all prizes before the event is over can you continue to collect arts and crafts to get more money at the end or will it end once I unlock the last item? 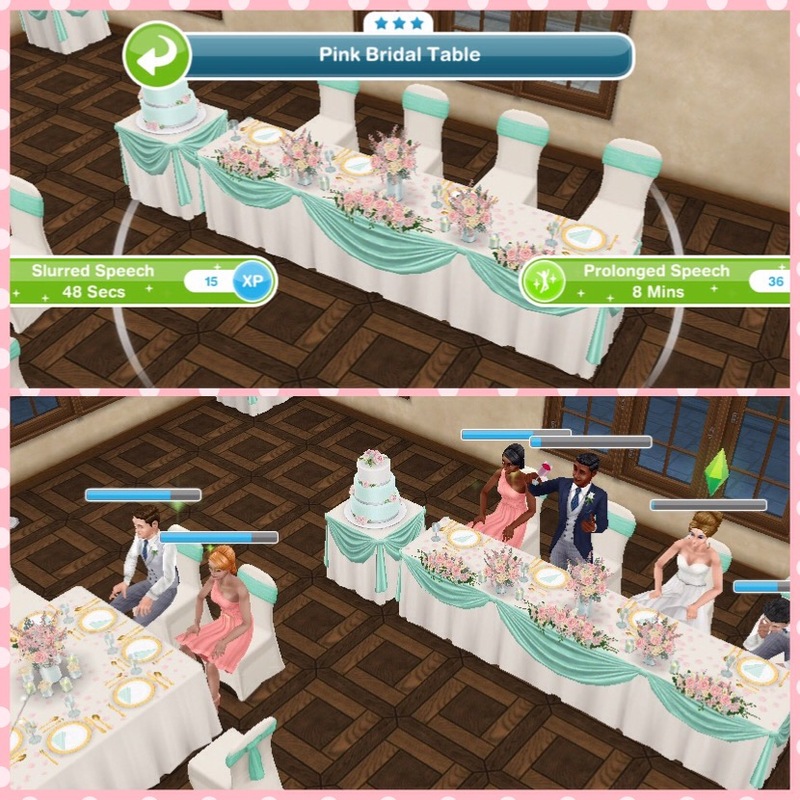 It will end when you claim the wedding venue. You’re welcome and thanks, I’m glad it helps! Hey, it seems like with the last update I have a new glitch. It won’t connect to my Facebook account, even though it says it’s logged in. The party boat won’t open at all. Do you know if this is a common issue that they’re working on or something specific to me that I should contact tech support about? Thanks! I have heard of a few people having this issue but if it is still a problem for you you may want to contact them and let them know about it so they can try and fix it. 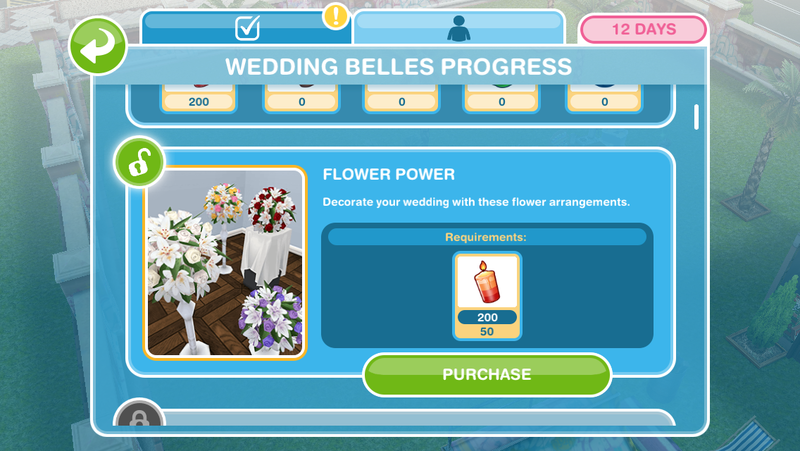 After you buy all the prizes and unlock the wedding venue prize, does it still require arts and crafts resources to purchase? 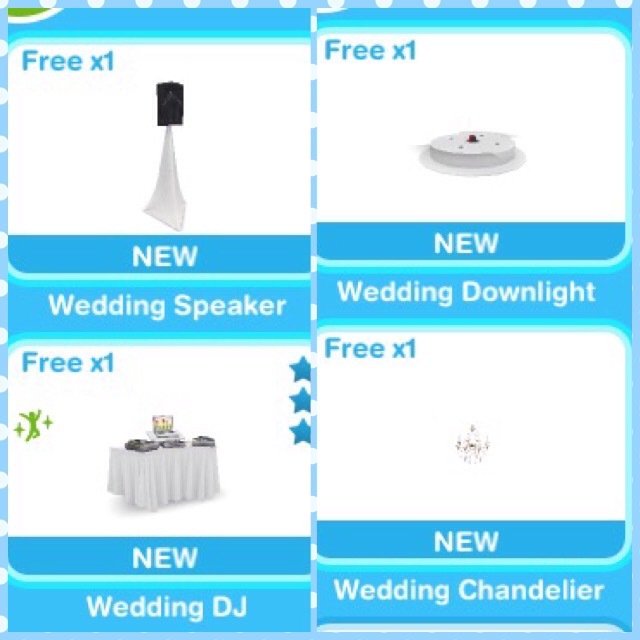 No, the wedding venue is free. 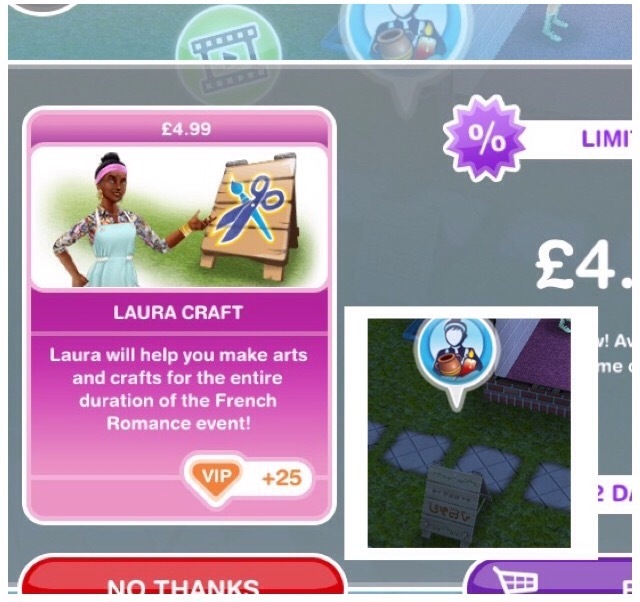 I know you already said that Laura Craft is a one time deal until an event comes around but, is she worth actual money? Please get back to me and I love your blog! I use it all the time! 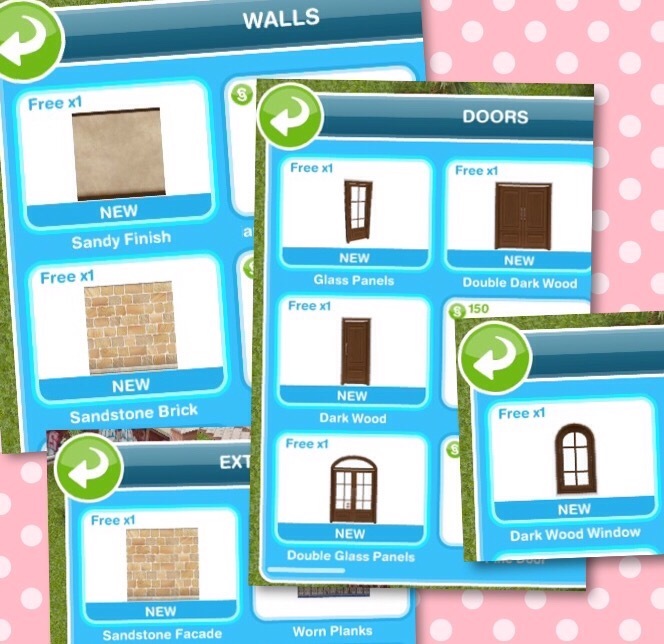 Hey I was wondering if you can do anything to the decorative pillars and lights out the back of the house, like delete or store them. 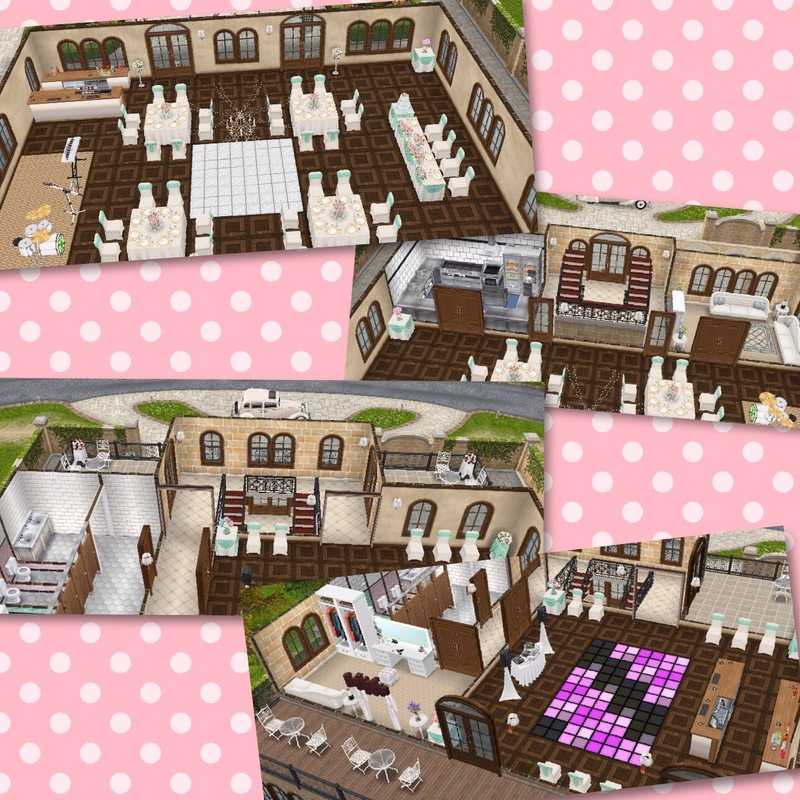 I like the scenary and setting of the house but i do not want venues and such in my game, i wish to decorate it into a fancy home with a lake! 😀 love your blog and your work. 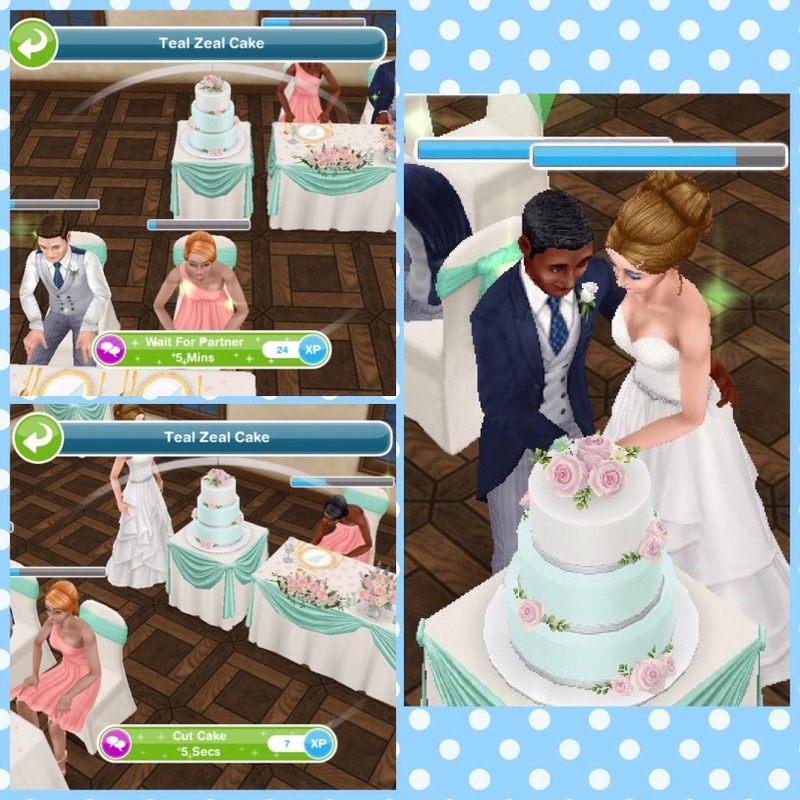 When the curent wedding event ends, will my craft inventory be saved? Should I make sure to spend/trade everything in as I make it? I currently have thousands of crafting items produced and I don’t want to lose them. If they’ll be saved for the next time the even is live, I’ll just save them. 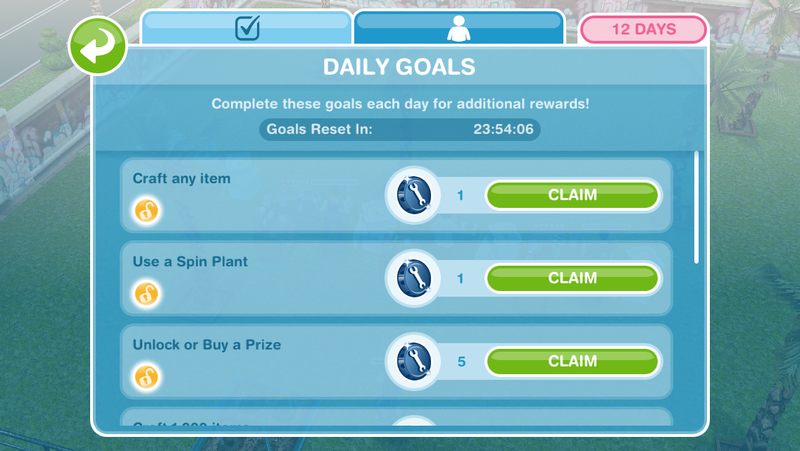 The items aren’t saved, they are converted into simoleons when the event is over. 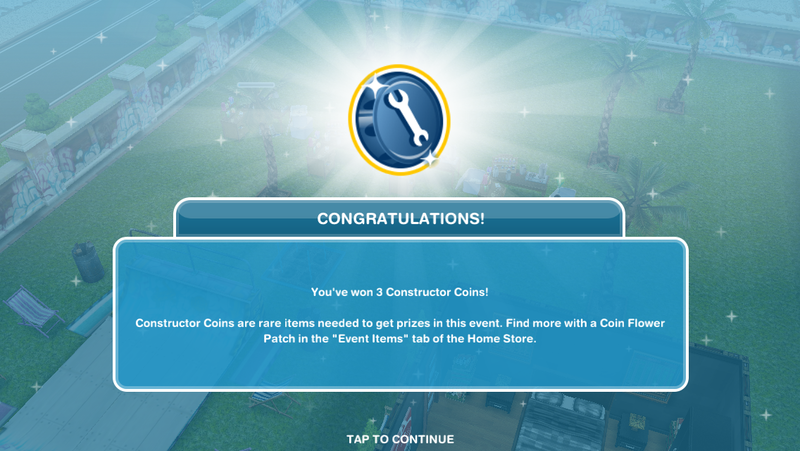 This is the second time this event has been available so it will probably be back again one day! I have a question. 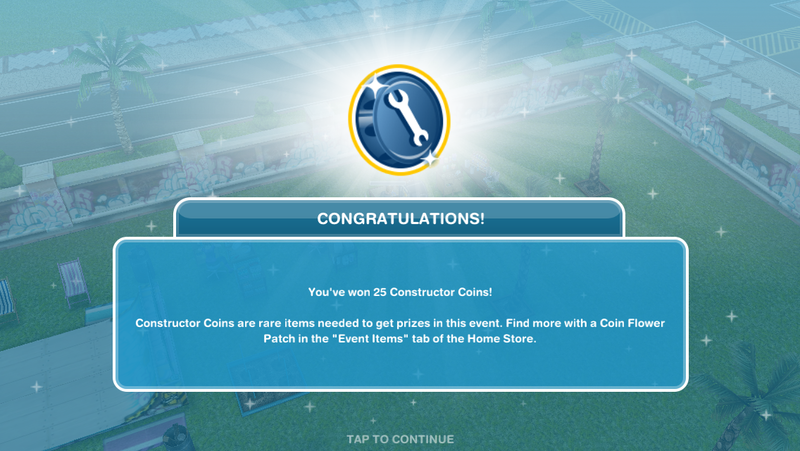 At the end where you get simolones for your unused crafts, does having candles or constructor coins give you more simolones? Or does it not matter at all? I really like your blog it’s amazing I’m well jealous of your wedding. 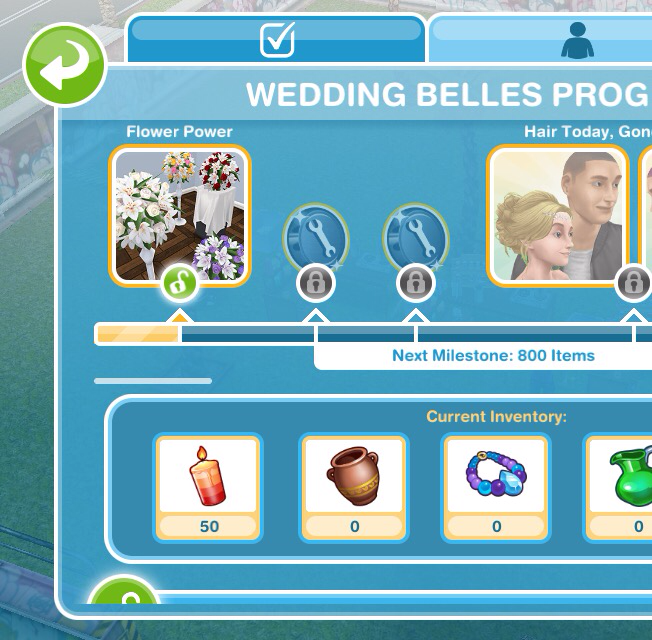 Not all the items from the wedding venue are available to unlock separately, some of them only come with the house. 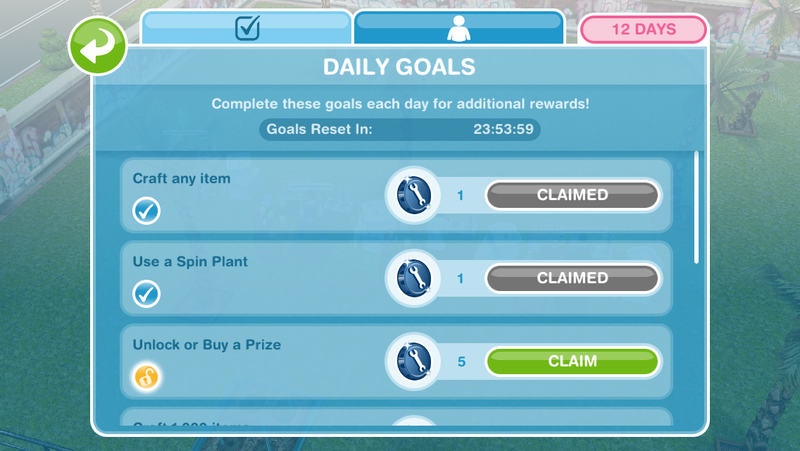 The event started and time limit until the end of it was only 3 days. Why is that? 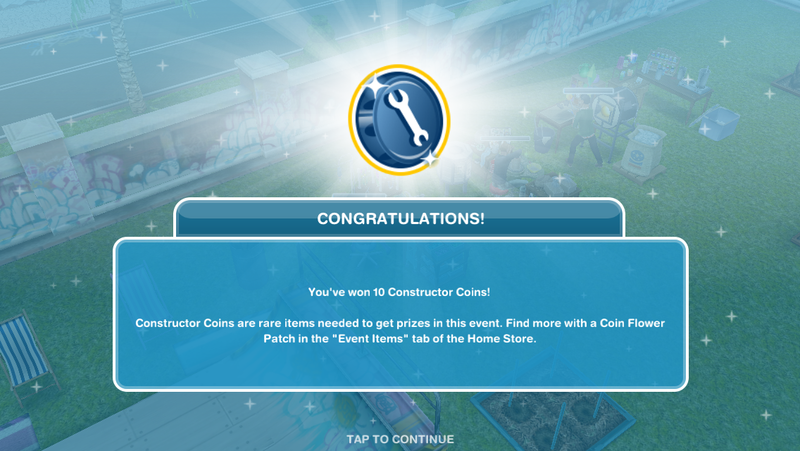 Will I still be able to get the house next time if I complete the event in 12 days? If you don’t go on the game until the event is nearly over then you will not get the full amount of time. 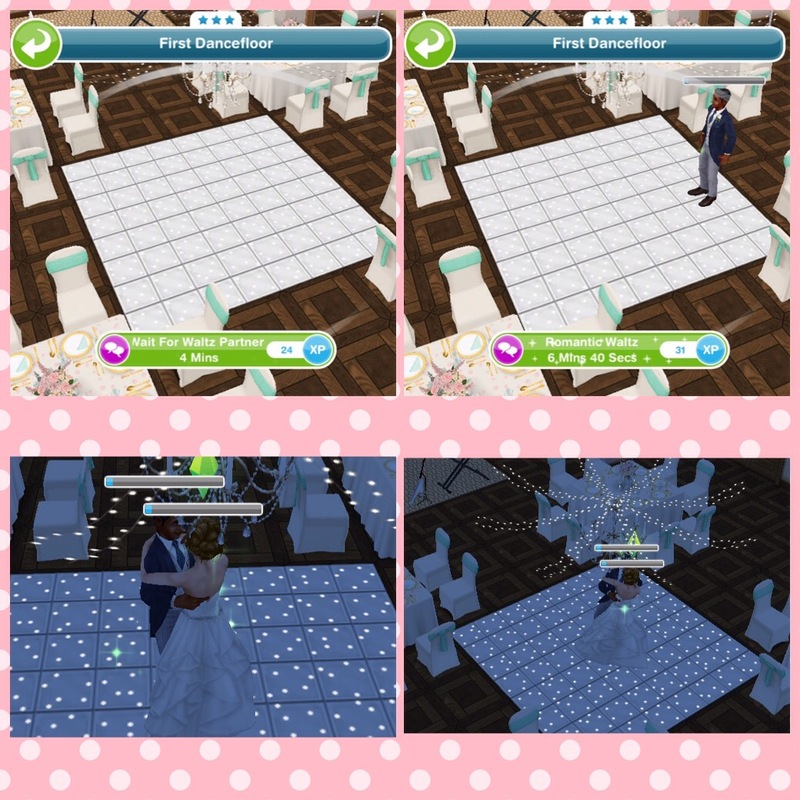 If you complete in the time limit next time then yes you can still get the wedding venue. 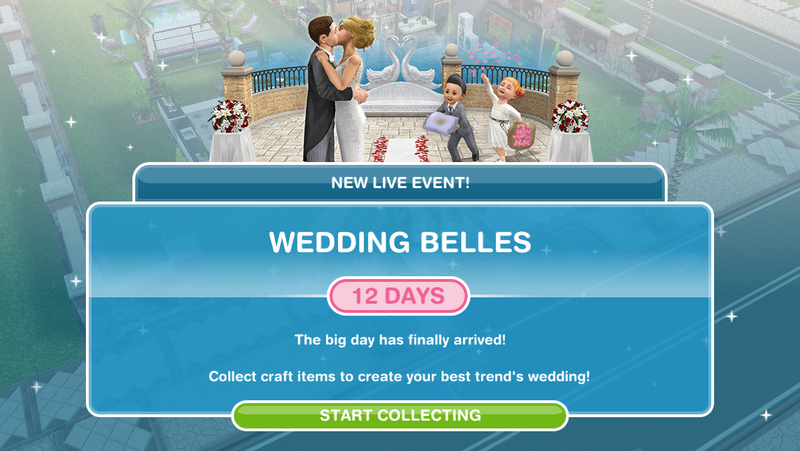 Why is the Wedding Belles Live event only giving me 4 days? 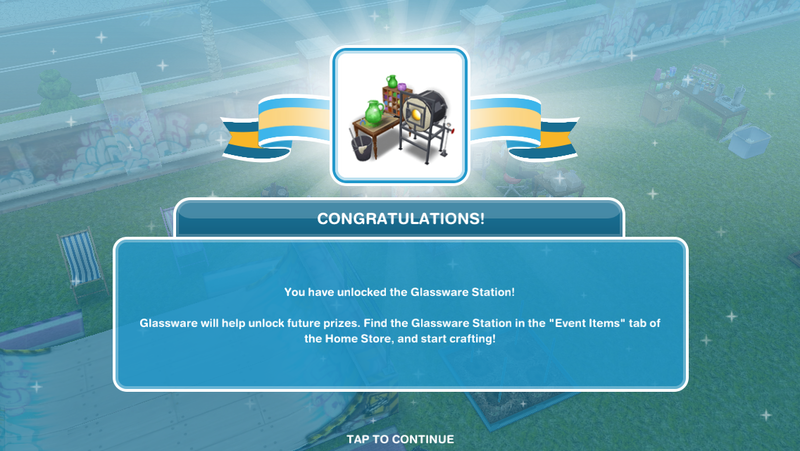 If I wasn’t for me trying to find out why you are only allowed 2 glass stations, but have to come up with more glass products than any other products, I would have never known I was supposed to get 12 DAYS ! Should I contact EA ? Is it even worth contacting them seeing as how the game is free? If you don’t go on the game until the event is nearly over then you will not get the full amount of time so there isn’t anything they would be able to do for you. Hopefully this event will be back again one day so you will be able to complete it!